People in every workplace talk about building the team, but few understand how to create the experience of teamwork or how to develop an effective team. Belonging to a team, in the broadest sense, is a result of feeling part of something larger than yourself. It has a lot to do with your understanding of the mission or objectives of your organization. In a team-oriented environment, you contribute to the overall success of the organization. You work with fellow members of the organization to produce these results. Even though you have a specific job function and you belong to a specific department, you are unified with other staff members in order to accomplish the overall objectives. Your function exists to serve the bigger picture. You need to differentiate this overall sense of teamwork from the task of developing an effective intact team that is formed to accomplish a specific goal. People confuse the two team building objectives. This is why so many team building seminars, meetings, retreats, and activities are deemed failures. Leaders failed to define the team they wanted to build. Developing an overall sense of teamwork is different from building an effective, focused team. Executives, managers, and organization staff members universally explore ways to improve business results and profitability. Many view team-based, horizontal, organization structures as the best design for involving all employees in creating business success. 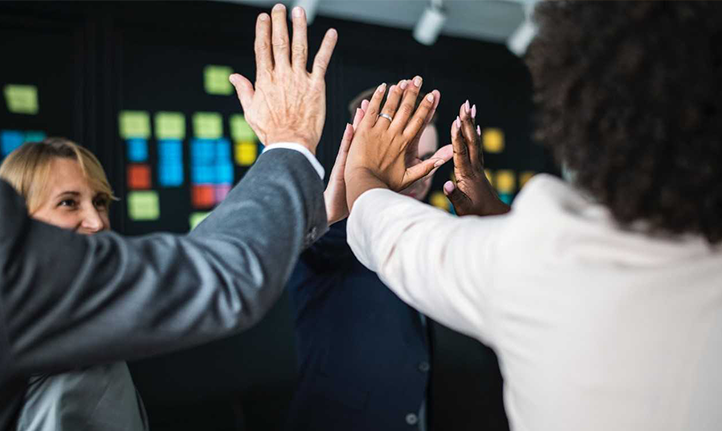 No matter what you call your team-based improvement effort (whether it’s continuous improvement, total quality, lean manufacturing, or a self-directed work team), you are striving to improve results for customers. However, few organizations are totally pleased with the results their team improvement efforts produce. If your team improvement efforts are not living up to your expectations, this self-diagnosing checklist may tell you why. Successful team building—that creates effective, focused work teams—requires attention to each of the following. Has executive leadership clearly communicated its expectations for the team’s performance and expected outcomes? Do team members understand why the team was created? Is the organization demonstrating constancy of purpose in supporting the team with resources of people, time and money? Does the work of the team receive sufficient emphasis as a priority in terms of the time, discussion, attention, and interest directed its way by executive leaders? Do team members understand why they are participating on the team? Do they understand how the strategy of using teams will help the organization attain its communicated business goals? Can team members define their team’s importance to the accomplishment of corporate goals? Does the team understand where its work fits into the total context of the organization’s goals, principles, vision, and values? Do team members want to participate on the team? Do team members feel the team mission is important? Are members committed to accomplishing the team mission and expected outcomes? Do team members perceive their service as valuable to the organization and to their own careers? Do team members anticipate recognition for their contributions? Do team members expect their skills to grow and develop on the team? Are team members excited and challenged by the team opportunity? Does the team feel that it has the appropriate people participating? For example, in a process improvement, is each step of the process represented on the team? Does the team feel that its members have the knowledge, skill, and capability to address the issues for which the team was formed? If not, does the team have access to the help it needs? Does the team feel it has the resources, strategies, and support needed to accomplish its mission? Has the team taken its assigned area of responsibility and designed its own mission, vision, and strategies to accomplish the mission. Has the team defined and communicated its goals; its anticipated outcomes and contributions; its timelines; and how it will measure both the outcomes of its work and the process the team followed to accomplish their task? Does the leadership team or other coordinating group support what the team has designed? Does the team have enough freedom and empowerment to obtain the ownership necessary to accomplish its charter? At the same time, do team members clearly understand their boundaries? How far are members allowed to go in pursuit of solutions? Are limitations (e.g., monetary and time resources) defined at the beginning of the project before the team experiences barriers and rework? Are the team’s reporting relationship and accountability understood by all members of the organization? Has the organization defined the team’s authority to make recommendations? To implement the plan? Is there a defined review process so both the team and the organization are consistently aligned with both direction and purpose? Do team members hold each other accountable for project timelines, commitments, and results? Does the organization have a plan to increase opportunities for self-management among organization members? Does the team understand the team and group process? Do members understand the stages of group development? Are team members working together effectively interpersonally? Do all team members understand the roles and responsibilities of team members, team leaders, and team recorders? Can the team approach problem solving, process improvement, goal setting, and measurement jointly? Do team members cooperate to accomplish the team charter? Has the team established group norms or rules of conduct in areas such as conflict resolution, consensus decision making, and meeting management? Is the team using an appropriate strategy to accomplish its action plan? Are team members clear about the priority of their tasks? Is there an established method for the teams to give feedback and receive honest performance feedback? Does the organization provide important business information regularly? Do the teams understand the complete context of their existence? Do team members communicate clearly and honestly with each other? Do team members bring diverse opinions to the table? Are necessary conflicts raised and addressed? Is the organization really interested in change? Does it value creative thinking, unique solutions, and new ideas? Does it reward people who take reasonable risks to make improvements? Or does the company reward the people who fit in and maintain the status quo? Does it provide the training, education, access to books and films, and field trips necessary to stimulate new thinking? Do team members feel responsible and accountable for team achievements? Are rewards and recognition supplied when teams are successful? Is reasonable risk respected and encouraged in the organization? Do team members fear reprisal? Do team members spend their time finger pointing rather than resolving problems? Is the organization designing reward systems that recognize both team and individual performance? Is the organization planning to share gains and increased profitability with the team and individual contributors? Can contributors see their impact on increased organization success? Are cross-functional and multi-department teams common and working together effectively? Is the organization developing a customer-focused process-focused orientation and moving away from traditional departmental thinking? Does the organization recognize that the team-based, collaborative, empowering, enabling the organizational culture of the future is different than the traditional, hierarchical organization it may currently be? Is the organization planning to, or in the process of, changing how it rewards, appraises, hires, develops, motivates, and manages the people it employs? Does the organization plan to use failures for learning and support reasonable risk? Does the organization recognize that the more it can change its climate to support teams, the more it will receive in payback from the work of the teams? If you spend time and attention on each of these recommendations you will ensure that your work teams contribute as effectively as possible to your overall business success. It’s a lot to do, but there’s a lot at stake. By introducing tariffs on over $500bn of goods, in an escalating trade war between the two countries. Trump also claimed that China and the EU are intentionally weakening their currencies, whilst he also criticised the Federal Reserve for tightening their own monetary policy – the recent strength of the US dollar has created a headwind for growth that Trump blames on higher interest rates. Over the last 12-months and based on the average estimate from industry analysts, as the reporting of quarterly earnings in the US enters its second week. If true, this would be only a slight decline from the 25 percent growth achieved from the first quarter reports. 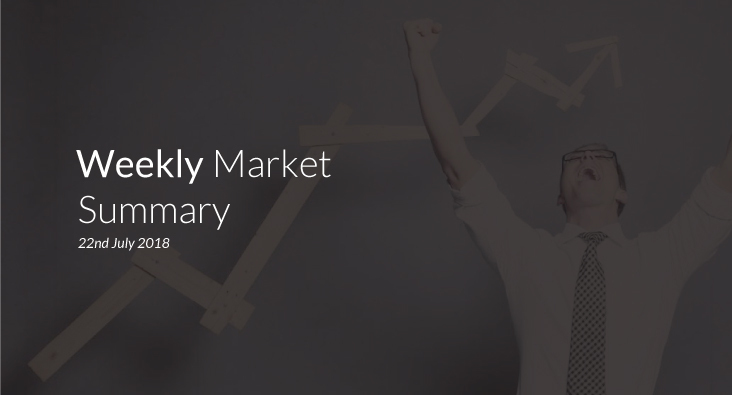 The overall market absorbed the trade war and earning’s data with little impact, as all major indices finished flat for the week. For the first time in 10 months, after retail sales came in below expectations and significantly reduced the possibility that the Bank of England will raise rates at their August meeting. Retail sales in June fell 0.5 percent from the previous month despite analysts forecasting a 0.2 percent rise, due in part to the World Cup and the unseasonably hot weather which may have deterred shoppers. When measured against the US dollar, leading to criticism of currency manipulation by the US administration. Much of the weakness is due to the diverging monetary policies between the two central banks and whilst a weaker yuan supports China’s huge export market, a run on the local banks could see a repeat of the 2015 devaluation that created short-term chaos in the global markets. Despite Saudi Arabia providing some price support after ministers said that they expect exports from the kingdom to be reduced in August, offsetting the oversupply in the market. Oil prices have been hit by fears of the US-led global trade war, which follows a similar trend across most major markets. WTI and Brent crude closed the week at $68.26 and $73.07 a barrel, respectively. Global economy to grow 3.9 percent this year, according to the International Monetary Fund who also warned that a global trade war could cost $430 billion. UK government borrowing at 11-year low, during the April-June period, whilst borrowing year-to-date came in at £16.8bn, almost 25 percent lower than last year. Singapore data breach hits 1.5 million, about a quarter of their population, with hackers targeting the patient’s information from the government health database. Investment in renewables fell 7 percent last year, threatening global climate targets, whilst investment in fossil fuel energy rose for the first time since 2014. The multicultural environment in which all Companies operate. It is not as important to define whether work takes place in a national or multinational Company/Corporation but to understand that every business entity nowadays, operates in a multicultural environment. Like every entity’s Business Model, so is its training. It must be strategically directed to enhance the capabilities of its employees to operate in a multicultural environment. The business entity may have only one dominant ethnic/cultural employee identity, but it is certain that its customers, suppliers and associates have more than one ethnic/cultural identity. 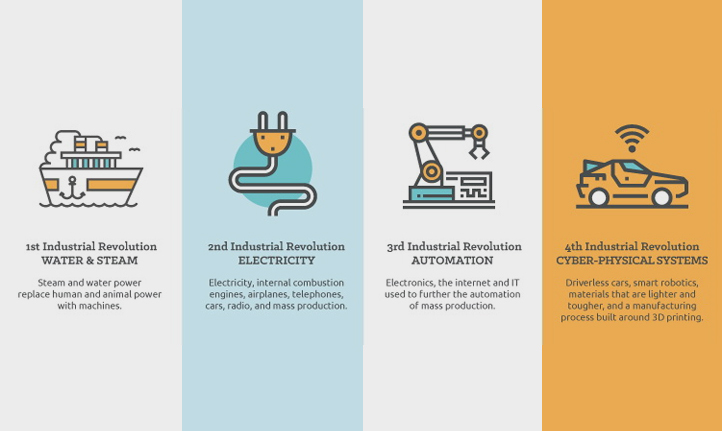 In addition to that, all business entities must adapt to operate in a rapidly changing technical environment, in what is called the 4th industrial revolution, where Digitization, IoT, Blockchain, Fintech and AI are the principal emerging changes. These changes demand a new strategic approach to training that is focused on continuous adaptability. Training covering the direct needs of the Business entity. Training covering the needs of Survival & Growth of a Business in a multicultural & operationally changing environment. Training designed to cover only the present needs is not adequate, as by definition, the present needs were defined in the past. In the ever-changing current business environment, training must be designed in such a way that it covers also the needs of the near future. The first important aspect of the new Strategic Training approach is to bridge the gap between traditional businesses vs. the need to teach the employees to operate in a digital environment. This will enable them to capture key data fast, implementing digital systems and processes which will assist them in streamlining decisions based on rational algorithms and not guesswork. The second important aspect is that, independent of whether training is aimed to cover the internal or the external needs of a Business, a search for the prevailing or dominant internal business culture comes first. Culture can eat training for breakfast, if training is not adapted to the prevailing culture. Culture is not only ethnic. Businesses have a centralized or decentralized culture, innovative or traditional culture; they are pipeline or platform type companies etc. Training must first recognize that. Strategic training decisions should not only acknowledge the training needs of today. The Leadership must strategically decide where the Business must head to survive and prosper in the next 2-4 years. This will define holistically the training needs of the Company for the present and the near future. The number of 2-4 years is not arbitrarily chosen. Very few can really see beyond the 4-year horizon in a useful, business wise, sense. The next issue that training must address is the need for digital transformation. An assessment is required of the degree of digitization of the specific business, a Company operates. No Company can hope to survive if it is less digitized than its specific business environment demands. Understand the digital literacy level, particularly of the higher and top Company echelons. Digital progress cannot be achieved without their full support. For this reason, a special session in which participation of all key decision-making executives of a company, is necessary. Strategic Training aims to empower and support the continuous improvement of the digital capabilities of the employees. A continuous feedback loop of trainee progress must be established for training to have optimal results. The training schedule should not be over ambitious. It should start small, allowing the Organization to digest and embed the process. It must never overshoot the capabilities of a Company. Training must not aim only to the development of specific skills of the employees. As Hayssam Al Amine, the forward-thinking CEO of RPM Training Organization observed: “A modern Company should design a holistic training program, aiming at an Organizational Transformation rather than doing piecemeal parts of it. Then, every training course, fits into the Transformation Strategy of the Company and creates added value. Companies are concerned about training costs and losing their employees, after training them, to another Company. To this Hayssam Al Amine commented: “The real cost of training, is not the cost of the training program, but the cost of the man-hours that the employees spend in training. When this result in more man-hours saved by doing their tasks faster and better, this is the real added value obtained by training. For the Company to retain its employees after training them, the Training Program must be designed for the specific Company’s needs. An employee that is well trained to do his job inside the Company, feels comfortable and satisfied with it and will not likely change his position, for an unknown new position. The new Strategic approach to Training is here to stay. The 4th Industrial Revolution and the Multiculturalism of modern Business make it imperative. Hayssam Al Amine helps organizations and individuals in creating service cultures and service excellence mindsets that develop customer advocacy. Managing Director of Resource Performance Management, he specializes in Organizational Transformation Programs through a dynamic, passionate and a highly motivational approach that inspires employees and top management to discover their hidden talents and untapped potential. His clients include General Motors, GE, Nokia, Qualcomm, Lenovo, Samsung and Siemens. Hayssam Al Amine, a charismatic and popular lecturer, conducts workshops and seminars throughout the Middle East and North Africa and Asia on subjects, such as, Leadership and team Dynamics, Innovation and Creativity, Sales Success, planning Organizing & Time Management, and his signature workshop, ACE Your Service. He is also the Author of the popular book ACE Your Service: Achieving Customer Engagement. Hayssam Al Amine is a Management Consultant and Business Coach that specialize in helping organization Achieve Customer Engagement. His successful customer service workshop, ACE Your Service, has been delivered to many top multinational clients in the fields of Retail, Automotive, Aviation, FMCG, and IT. His motivational style, coupled with 24 years of service experience, add great value to companies, management and their talent. Hayssam has a deep understanding of Organizational Behavior and can help you, your team members and your company in Achieving Customer Engagement. His approach involves working closely with management to create tailor made solutions that bring great value to its staff and bottom line. 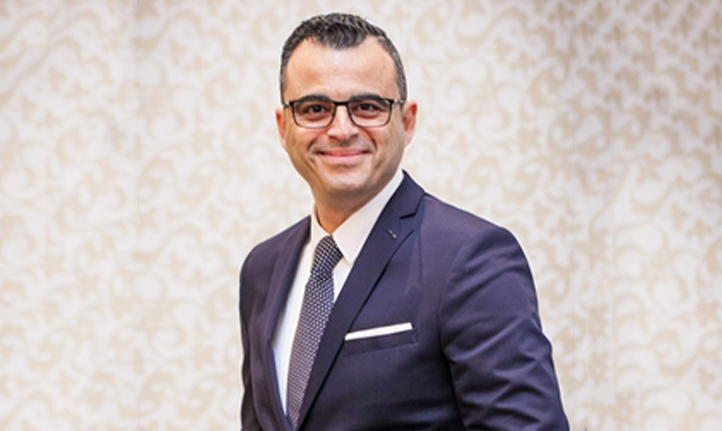 As an Executive Coach, Hayssam is currently working with some of the most influential CEO’s in the Region. He has the ability to deliver program in Arabic, English and French, and a conversational ability in both Spanish and German. He is often a guest lecturer for many renowned universities in the Region and is a revered Motivational Speaker on the topics of Self-Improvement, Change Management, and Customer Service. I’ve ﬁrst met Mr. Hayssam Al Amine in a “Customer service Excellence” training course that was offered by my company “Abu Dhabi Airports Company. Mr. Hayssam was an amazing teacher and was liked by all the students in the class because of his great way of teaching . Unlike all trainers, he delivers the material in a fun and engaging way that keeps all students focused throughout the lesson. Besides his great method of training, he has great knowledge in his ﬁelds and always up to date with the examples he provide during his classes. Mr. Hayssam is not only a great facilita- tor he is also a great friend!! We’ve all heard that breakfast is the most important meal of the day, but just how important is it for your productivity? 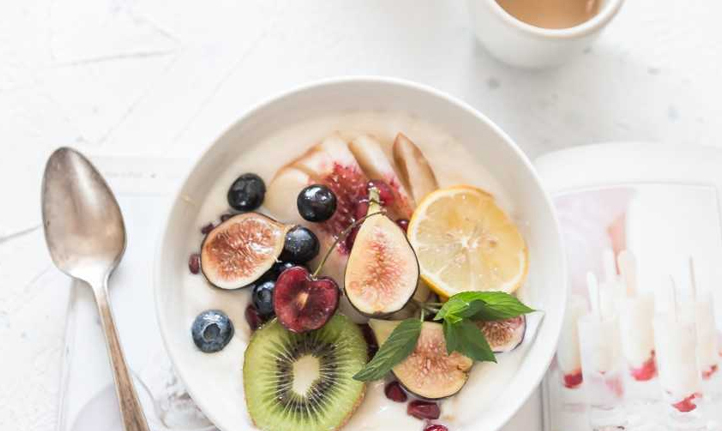 By the time you wake up you likely haven’t eaten for 10 or 12 hours, which is where breakfast got its name — it means “breaking the fast,” Lisa De Fazio, a healthy-lifestyle expert and registered dietitian, tells Business Insider. Your first meal of the day is what kick-starts your metabolism and replenishes blood-sugar levels so you can focus and be productive throughout the day. When blood-sugar levels are low, she explains, it’s much harder to focus and you’re more likely to feel tired, irritable, and impatient. Starting your day off on the right foot is all about balancing high-fiber carbohydrates with lean protein, De Fazio says. While all carbohydrates raise your blood-sugar levels, high-fiber carbs like fruits and whole-grain products do so at a steadier pace than sugar and low-fiber carbs like processed grain. While you may be tempted to grab something quick and sweet like a doughnut or double-chocolate muffin, De Fazio says these baked treats tend to be full of processed flour and sugar, which will spike your blood-sugar levels and lead you to crash by mid-morning. “It’s like injecting sugar straight into your bloodstream,” she says. Luckily, whether you make your breakfast at home, buy it, or keep something in the office kitchen, there are plenty of healthy and tasty options that will keep you from passing out at your desk. 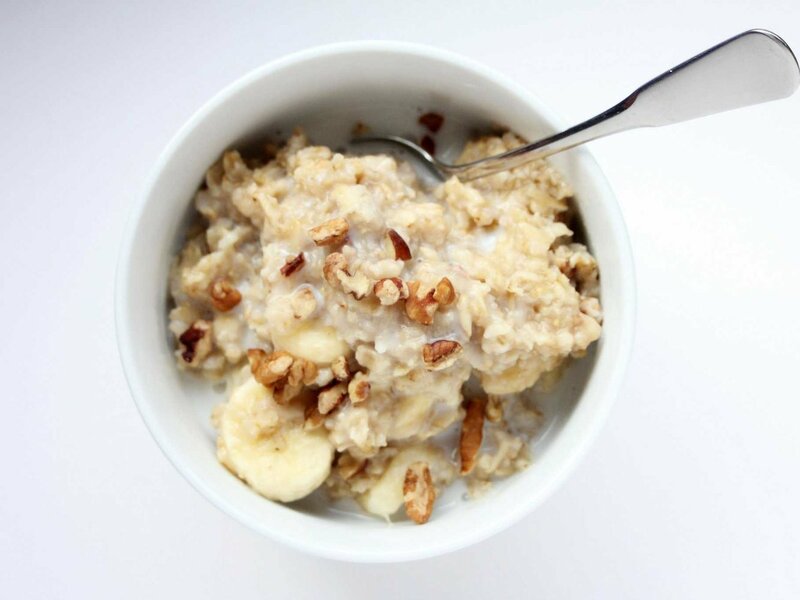 “Oatmeal is the ideal carb in the morning because the fiber will fill you up and keep blood sugars steady, since the fiber takes longer to breakdown and digest,” De Fazio says. Thanks to instant oatmeal, you can enjoy the benefits by simply adding hot water. And if you don’t want to make it at home or in the office kitchen, many fast-food retailers like McDonald’s offer oatmeal as a power-packed breakfast option. 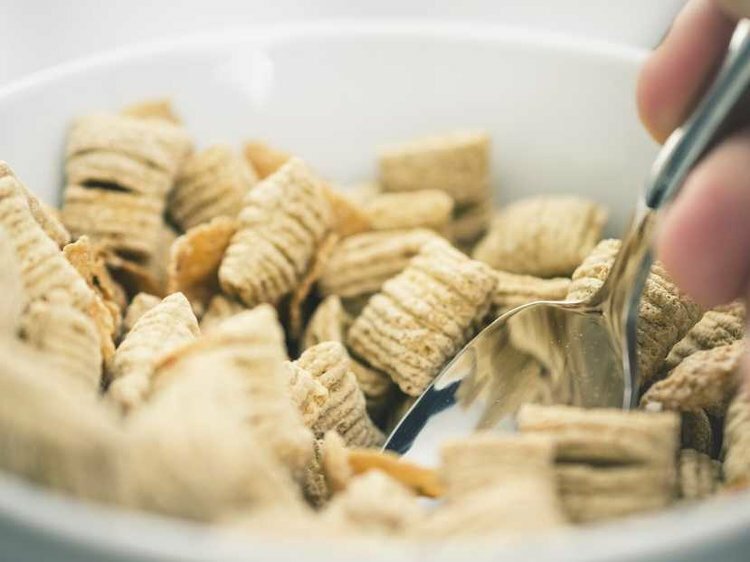 Low-sugar cereals are OK to eat for breakfast. De Fazio advises looking for cereals with less than 5 grams of sugar per serving, like Rice Chex or Shredded Wheat. Serve with milk for added protein. 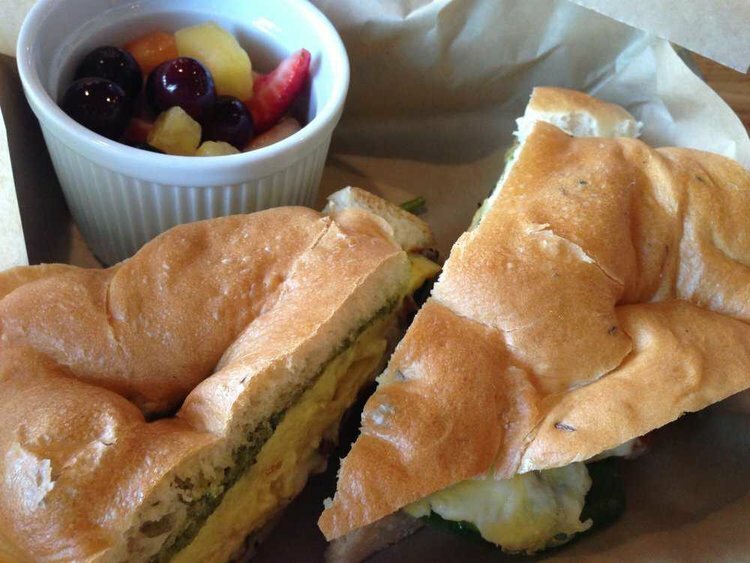 Egg sandwiches or wraps with or without lean turkey bacon are a great source of protein, which will help slow down the blood-sugar rise that comes from the carby bread. De Fazio says to skip the cheese and suggests mixing it up with spinach or avocado. Not everyone loves eating breakfast. If you’re one of these people, De Fazio suggests trying to at least drink a smoothie before 10 a.m.
She suggests a recipe of yogurt or almond milk, a banana, and protein powder. 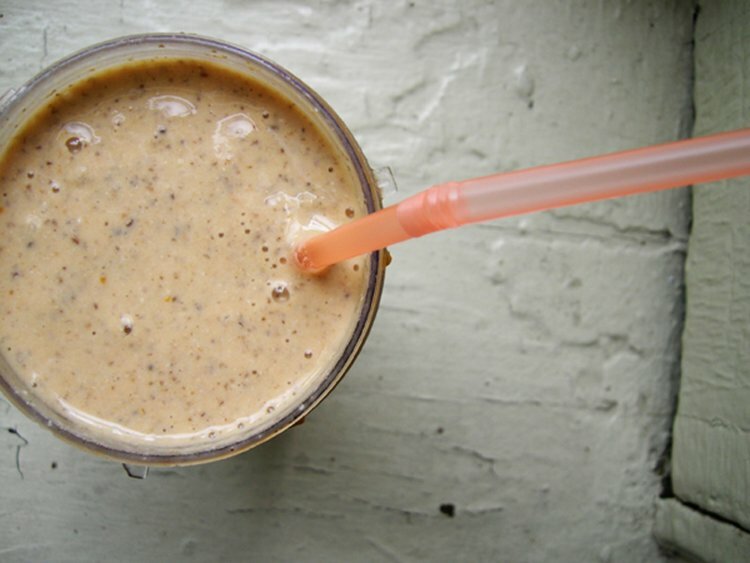 Or if you don’t have the time or a blender, you could try a ready-made protein smoothie. 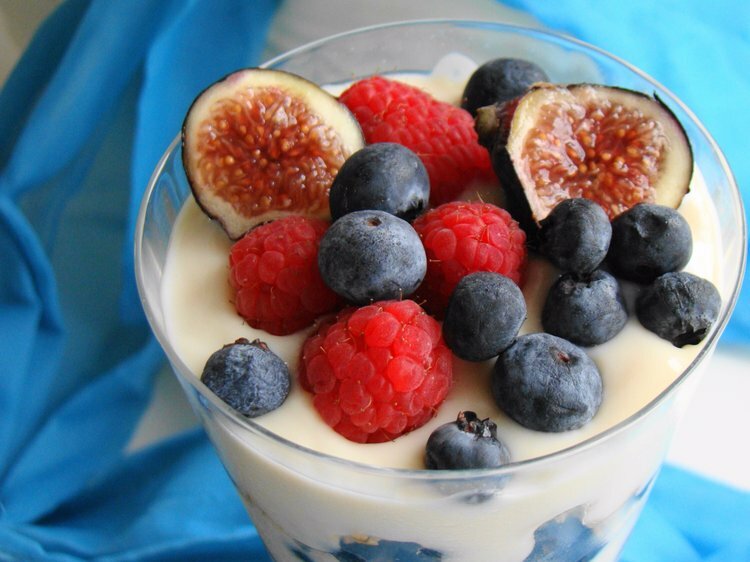 Greek yogurt is a lower-fat source of protein than regular yogurt, while berries and a little granola on top bring the fiber. You could also opt for cottage cheese instead of Greek yogurt, De Fazio suggests. 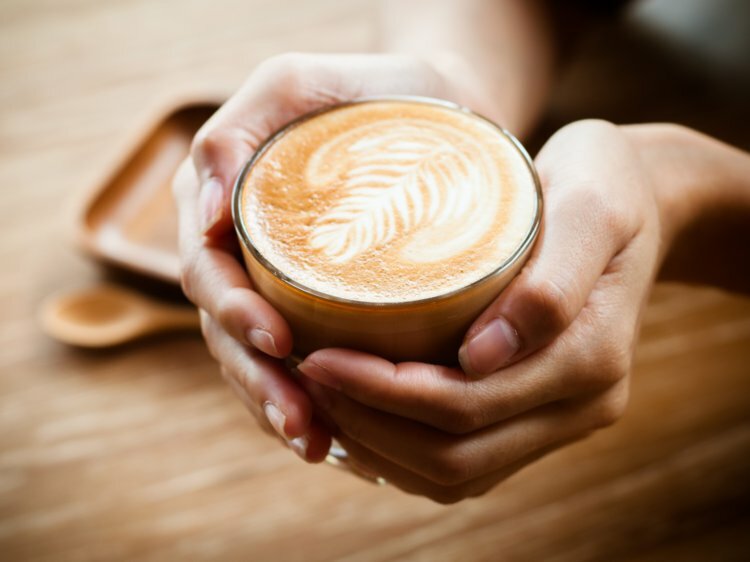 You can enjoy your coffee without guilt — as long as you don’t pile on the added fat, sugar, and expense with extras like caramel swirls, chocolate pumps, and whipped cream. “Excessive calories from beverages turn to fat just like food,” De Fazio warns.